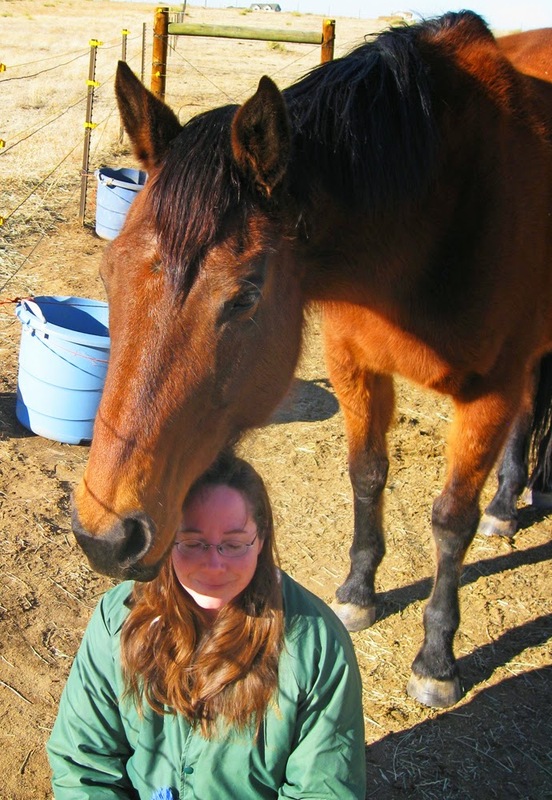 One of the horses' natural healing gifts is an uncanny ability to sense exactly what is ready to heal next. 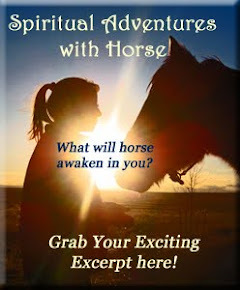 We can step into the space with horses with an idea of what we want to "work on," but as master scanners of our energies bodies, the horses easily highlight what is MOST discordant in your field, AND up for transformation! Horses never lie and what they find UP for shifting is often a total and complete surprise. In fact, if you are open to ANYTHING, they will very often show you something you had NO idea needed to shift! Even better, if you really are OPEN, they will let you know WHEN is a fine & dandy time to let go of something that's been holding you back. That's why it's always a beautiful idea to let the horses take the lead during your time with them. Recently, my lead mare and life horse, 23yo Serendipity decided it was the perfect time for me to STOP the WAR inside of me, that I didn't even realize was going on. 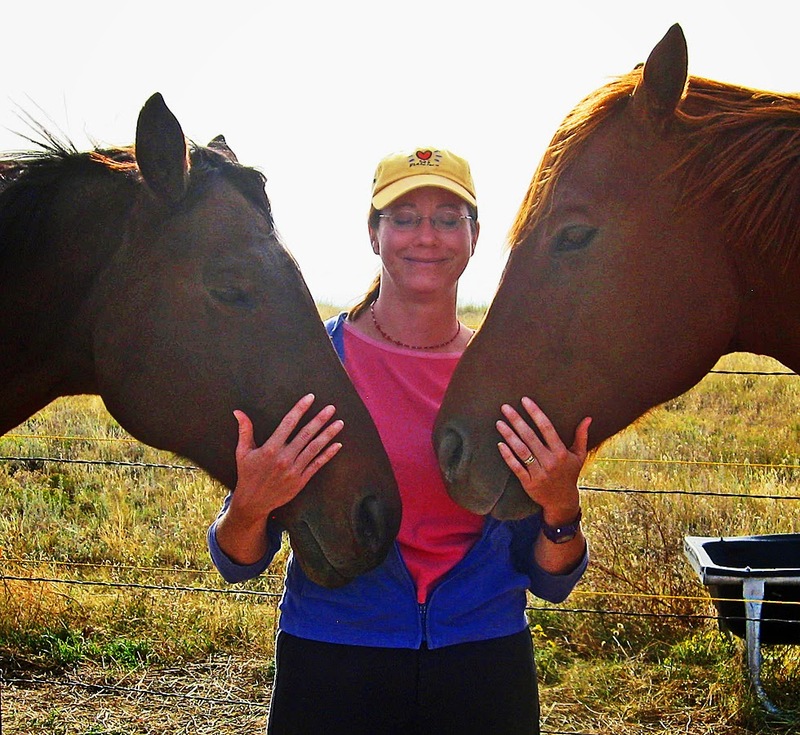 Seren and I had just been engaged in some peaceful bodywork for HER (she love, love, loves the Masterson Method of Equine Body Work), when she determined that this would be a great time for ME to do some emotional clearing work. She knew I was RECEPTIVE, because doing the body work puts us both in a STILL MIND, HEART RESONANT field, the perfect place for sensing what is ready to Shift. So, as we completed releasing body tension for her, she nudged my heart space, and walked off, leaving me with a totally unexpected memory, from a distant time and place. As I began to get some pictures, thoughts, and feelings, I got more still inside, until a story revealed itself through me. Standing with Frolic, the details of this past lifetime unfolded before my eyes. It was a distant Scottish clan type of lifetime, typical of the times when clans frequently were at war with one another. I watched as a scene played out, with my husband being murdered by some men of a opposing clan, and me, in my outrage, picking up a weapon to face them, knowing it would only end in my brutal death as well. As Frolic leaned into me, licking and chewing, I felt into the rage and the anger that all of that warring created. And then the scene shifted. Suddenly, a different choice for a new outcome was presented within this story. I suddenly felt the Soul's sadness about the Ego's choices. I saw that all of that warring between clans came from the EGO's perspective of lack & limitation, that created an US versus THEM mentality. And a HIGHER CHOICE was offered to the Field. From this day forward, all conflict would be resolved with WORDS, by coming together to TALK it out. Even writing this now, I can feel the power of this new agreement well up as tears. And in the moment, Frolic stood with me yawning, as a beautiful feeling of PEACE flowed through my body. As I invited that Peace to flow through me more fully, Frolic moved her heart space directly in front of mine, and suddenly a deeper wave of GRIEF came crashing through. I reached for Frolic's shoulder and held her as I sobbed the pure feeling of Grief that came from realizing the Senseless Suffering the Ego had caused in that and so many lifetimes of violence we humans have chosen to perpetrate on each other, as we struggled to find a more Loving way. And I sobbed some more when I realized in that so many ways, big and small, we continue to allow the Ego to create Senseless Suffering in the form of Inner Wars against OurSelves, day in and day out. This memory that Seren brought back to life was a beautiful invitation to CHOOSE PEACE, here and now, today and every day. It was a reminder to put down our virtual weapons against ourselves and each other. It was a invitation to gather the Inner Aspects of Ourselves at an Internal Fire, to allow all a Voice, and to Hear them with Compassion. 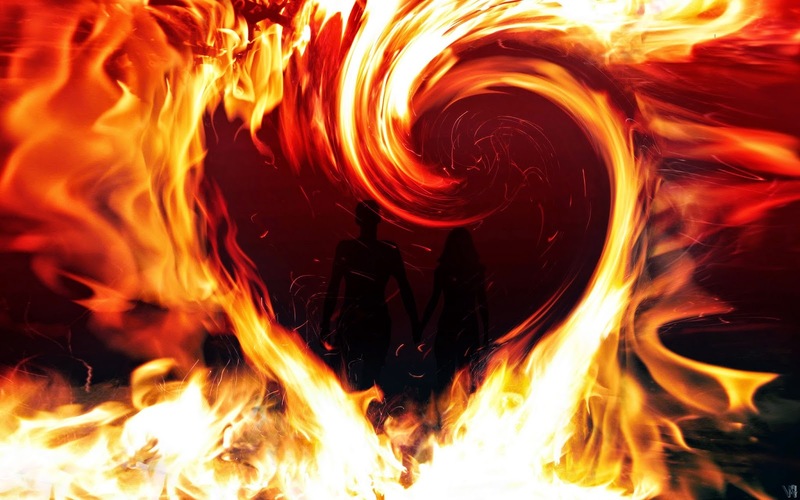 To let the flames purify the EGO, and to discover what LOVE would Choose. Because as long as the EGO is at war with itself, the BODY will be at WAR, and this Inner Conflict will manifest as both dis-ease in the body and in your interactions with others. You may keep finding mini-wars, inside and outside, until you remember to choose Peace & Love. 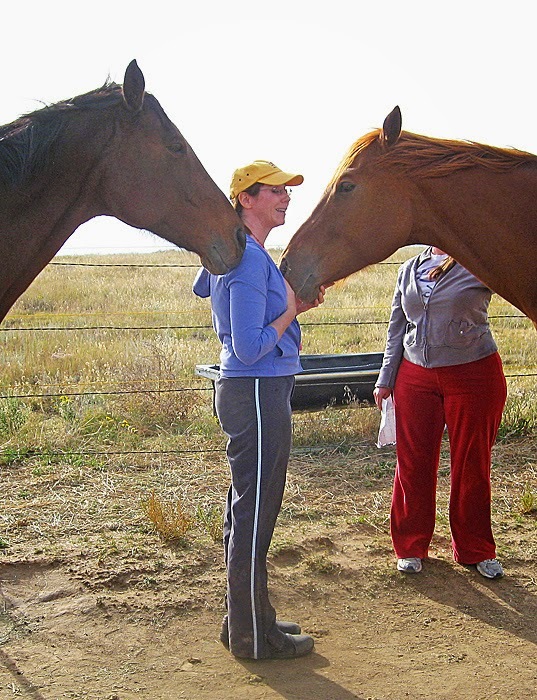 I was ASTOUNDED by these revelations as I stood taking them in with the help of the horses. What a beautiful Gift they offered, this memory with a new outcome coming from the Soul's Choice. It's been my experience that the more we heal our childhood wounds, if we are open, the more past life energies come up for healing, since clearing this lifetime's energies has created space for even more deeply held energetic patterns to shift. It's also my belief that when we ALLOW ourselves to FULLY FEEL these emotions held in our bodies, we are able to clear the vibrational wounds. And by allowing or making NEW CHOICES in this space, we are offering healing to ourselves and other souls involved, in all times, dimensions, and spaces. What we CHOOSE NOW, affects the ALL, because it is ALL ENERGY and ALL ENERGY IS CONNECTED. So it is NEVER too late to shift, heal, and transform old energetic patterns. I invite you to join me and the horses in CHOOSING to lay down our weapons and choosing PEACE & LOVE in every moment. Start by offering it to YOURSELF. ~ What would Love choose here? ~ What would Peace say to myself now? ~ How would Love show up in this moment? ~ How would Peace act in this interaction with another? ~ What would Compassion offer into this situation? ~ What would Light find if it shined into the dark spaces of the Ego now? And HA, speaking of Divine Timing, just after finishing writing this, there was an AWESOME invitation in my emailbox to join a Global Peace Experiment- so that all on Earth can remember this Truth! How funny is that...you may wish to check it out- it is very well done and offers several free, powerful meditations. Visit their page here. Or watch the video below. How have the horses guided YOU in choosing Love & Peace? 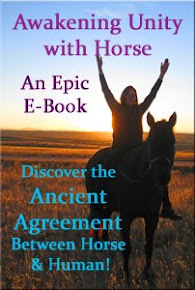 Have the horses revealed to you past lifetimes needing clearing?